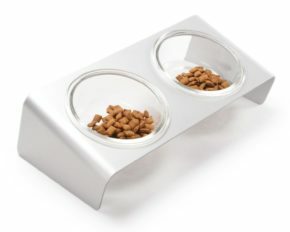 4CLAWS Elevated Cat Feeding Station Review - Is It Suitable For A Cat? 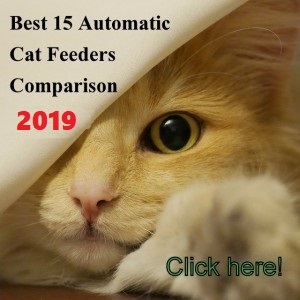 I decided to make a review of 4CLAWS elevated cat feeder because it offers several features that are really appreciated by cat owners. 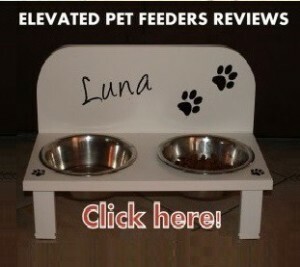 Its ergonomic design provides a healthy posture for your pet to eat and drink. 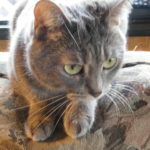 Due to the esophagus position when a cat is leaning overeating, occasional back-flows may occur and this is reduced by raising the food. 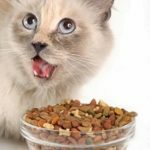 Also, by elevating the food your cat experiences less stress on joints and muscles, a good feature for elderly or arthritic cats. 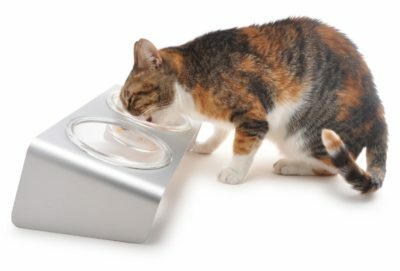 4CLAWS raised feeder comes with two 13Oz bowls providing plenty of capacity to feed your cat for more than a day with dry food. 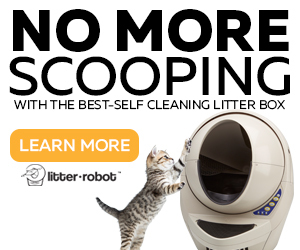 If you like to warm up your cat food this is a good option since the bowls are made from sturdy glass that is microwave safe. Also, the bowls are dishwasher safe. The stand is a one-piece of anodized aluminum, with a modern clean style. 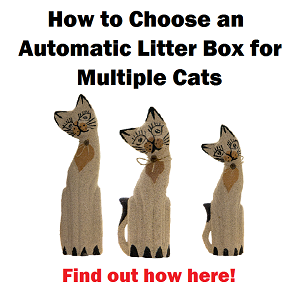 WHAT ARE THE PROS AND CONS OF 4CLAWS ELEVATED CAT FEEDER? You can’t put very much water in the bowl, due to the tilted position so you need to refill more often. √ This unit looks beautiful if your kitchen has stainless steel dominance. 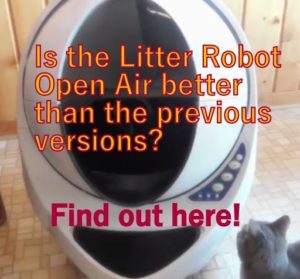 √ If your cat likes to splash water and you are going to use one of the bowls for water, make sure to place a rubber mat underneath this unit. 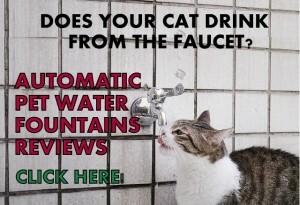 Some cats get discouraged from splashing water with a raised bowls, but others keep doing it. 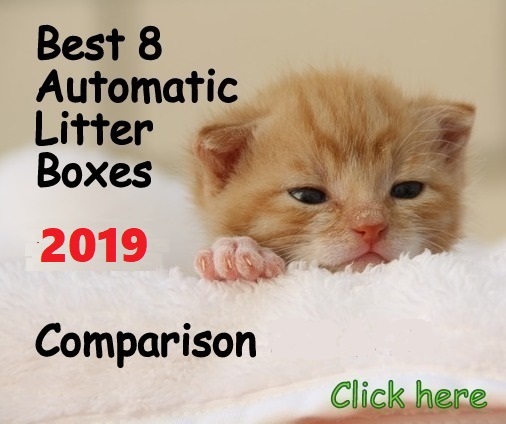 4CLAWS Elevated cat feeder provides a good solution for cat owners that are looking for a modern clean looking unit to place in a living area or in the kitchen, keeping the cat feeding place clean from wet or dry food going onto the floor. 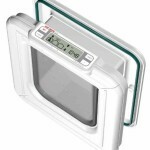 The unit is durable and is well made, the bowls that come with this feeder are made from thick high-quality glass that can be put in the dishwasher and microwave, this alone tells you this is treated glass that resists high temperatures. In conclusion, I recommend this unit to feed your cat. However, if you want to use one of the bowls for water and you don’t like to refill, this unit may not work. 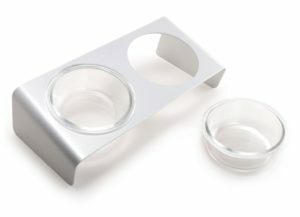 The tilted shape of the bowls doesn’t allow much water to be put in them without spilling. 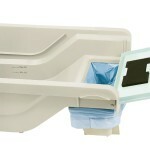 4CLAWS is a great solution if you are looking for a modern, clean looking durable raised feeder for your cat.